Every teenager looks forward to the day when it comes time to buy their first car. The idea of them being able to go out and leave home so they can have fun with their friends excites them more than anything else. But if you are like most parents, this process can not only be stressful, but exhausting. Before you purchase your teen his or her first car, you need to think of additional costs that come along with the new purchase. Ensure you have come up with an appropriate budget and by doing this, you will find out the actual cost of the car. In many instances insurance for a teen’s vehicle is costlier as compared to that of an adult. Including your teen into your current insurance policy for cars can cost you a lot less unlike procuring new insurance for him or her. Because of their lack of driving experience, many teenagers are more likely to involve themselves in a car accident, so it is important to budget in advance for such situations especially during year one of driving. “Having a strategy or approach is imperative to making this process smooth and seamless” says Sam Miller, the teen counselor at the Parenting Teenagers Academy. “They need to have a clear understanding as to why you are procuring them the vehicle, so they have a set of clear expectations.” Maybe it is to supplement certain requirements for the family and not for their personal use. If it is meant for them totally; you will need to have your teen understand what the car is for. Maybe they only require a vehicle for transit between certain destinations or additional things. 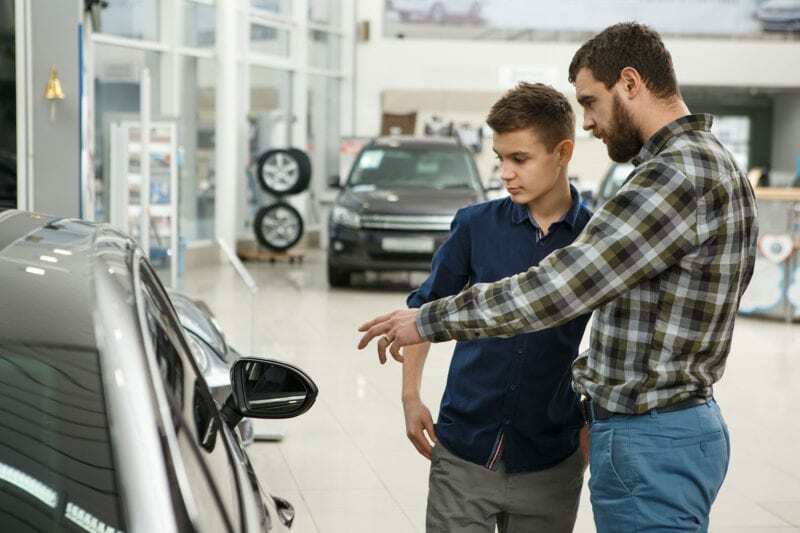 Understandably, your teen could have set their heart on getting a pickup truck or a sports car; this is the time to have them at the showroom and sample with them the variety of cars as well as those that are inexpensive. While they might whine or complain about wanting a more expensive or flashy car, it’s important that you stay firm with them about getting a car that it adequate for their needs. Doing your due diligence by carrying out an online search for models of various vehicles, reviews on performance, articles, and pictures would be a great step. Begin with household brands because you will be able to get lots of information that will help you make the right decision and also to get you started with your search. Continue with other comparisons of manufacturers of another brand that may increase your teenager’s interest. While searching online, you can get the opportunity to discuss between the new car and the used car. Brand new cars may have the advantage of lesser issues while used vehicles, on the other hand, provide value for your cash. Ensure that your search is filtered to display only reviews and pictures advertised by genuine verified drivers and be ready and willing to scroll through a number of WebPages in the search results while comparing different opinions from varying websites. After making use of ads from classifieds in your local area and internet sites; decide on a number of options for your teen. Being the first vehicle, it is preferable to choose either a small sports utility vehicle (SUVs), sedan, or compact car.